What's Makes a Good Book? What can I find on a book cover? Who are the characters and what is the setting of a story? What is the job of the author and illustrator? Illustration of a book cover. This is a picture that will show you what you will find on a book cover and where you can find it. This site gives pictures that students can use to get an understanding of the different concepts of print. This video helps the student to understand the different parts of a story. The video is a song that goes along with a book. This packet can be downloaded to help you practice identifying the parts of a book. It can also help check your understanding of the author and illustrator. Here are some fun books to read at the beginning of the school year. As you read one of these books think about the characters of the story. What is the setting? Where does the story take place. Look at the cover and what you can find on it. This website has different books that you can pick from. These books are then read by famous actors. Check it out and see if your favorite actor is a special reader. 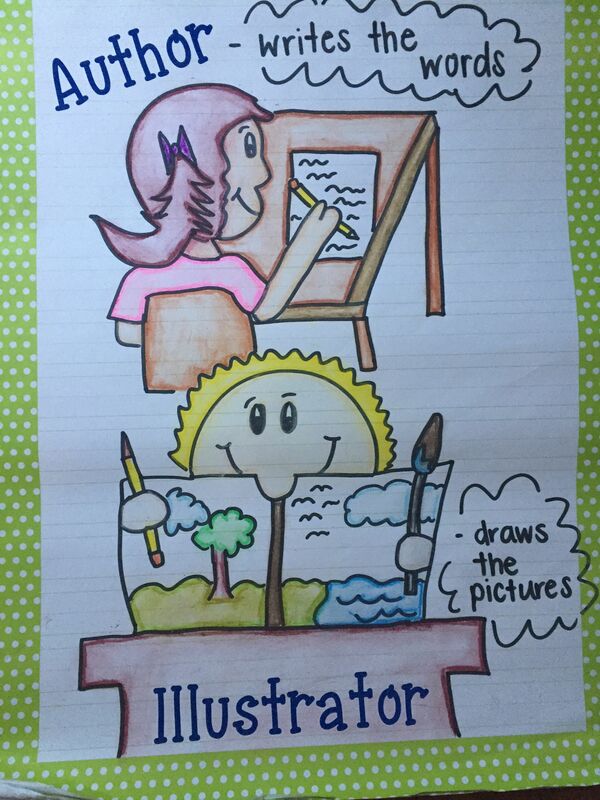 This picture was drawn by a teacher to help her students remember the difference between the author and the illustrator. You can print this out to help you remember also! These charts can help you study the material for the different modules. There are also some helpful hints on how to properly handle a book that may be helpful. You can use these worksheets to help you study the material from the different modules. There are different types so you and your parents can find one that you would like to use to help you review the material.